Spread an upbeat message when you use these motivational return address labels on your mail. The four designs feature beautifully inspiring sayings on colorful sticky-notes intended to help you find strength and keep your head up. 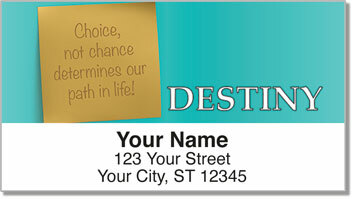 Notes & Quotes Address Labels from CheckAdvantage are perfect for people who want to reach out to others with words of encouragement. Plus, these labels are a useful tool that helps you cut back on the routine task of filling out envelopes. 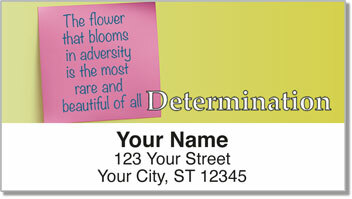 Order your very own Notes & Quotes Address Labels right now! 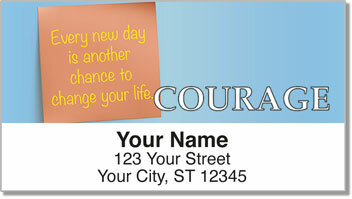 You can also find this unique design on a set of inspirational personal checks!